The internet is a fascinating place. Many imagine historians to look rather like that historian who gets slain after the fourth wall breaks in Monty Python and the Holy Grail, more at home in the dusty archive wearing a tweed shirt than cruising around online. But honestly, there are amazing resources in the depths of the internet that are making it easier and easier for historians to save on travel costs – and wear and tear on delicate documents. Here are a few that I feel you should know. All on this list can be accessed for free, which makes them ideal for those who don’t yet (or no longer) have access to subscription-based online databases through university tuition fees. This list is by no means exhaustive, but may contain a few of the slightly less well-known free archives and collections available online. Peel’s Prairie Provinces via the University of Alberta library and archive. A huge collection of digitized Western Canadiana. If it was published in or about Manitoba, Saskatchewan, or Alberta prior to, say, the 1950s, they probably have a copy in their full text keyword searchable database. I’ve talked about a few of their documents before – see this post on a Western Canadian Dictionary and Phrase-Book from 1912 – but the element of their collection that I have made the most use of is their postcards. Some, like the postcards of bison/cow hybrids, have been digitized: over 15,000 historical postcard entries. However, as of last year they doubled their collection, though most have not yet been described or made available online. Nevertheless, they are a hugely rich resource that is only just started to be tapped by researchers (including me for my MA research project). Peel’s Prairie Provinces also has a large collection of digitized photographs apart from their postcards and a huge set of Western Canadian newspapers – even those that only ran for a few years, or were from small towns or in unusual languages. Once again, they are entirely keyword searchable! 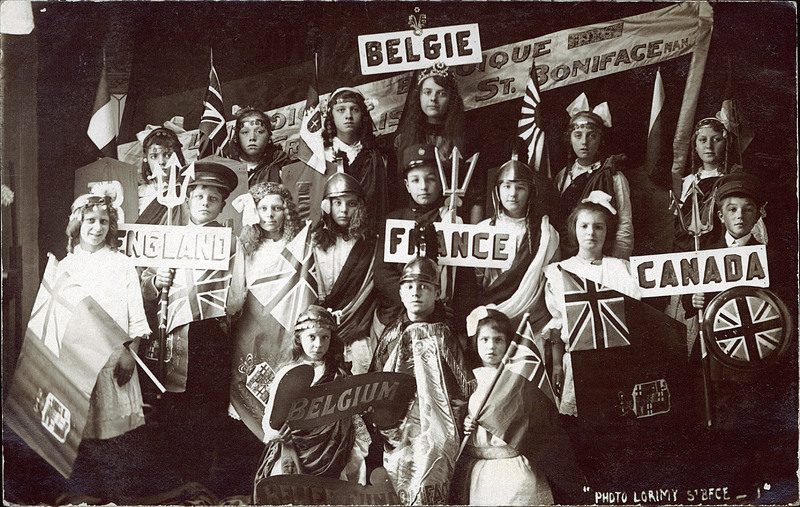 Group of children in costume showing the allies of the British during the First World War. PC002348, courtesy of Peel’s Prairie Provinces. Archive.org: A repository for a huge number of digitized primary documents. One of my favourites is the Medical and Surgical History of the War of Rebellion, a medical history of the American Civil War published in the decades that followed – in gruesome detail! Collections of fashion plates from the 18th, 19th and early 20th centuries! 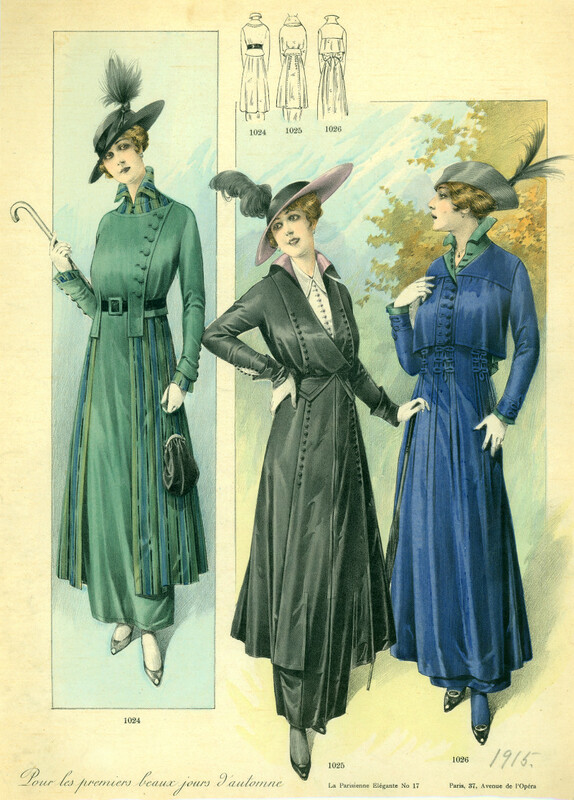 Check out the Casey Fashion Plates at the Los Angeles Public Library, the University of Washington collection of fashion plates, and the Claremont Colleges Digital Collection. Athabasca University Press offers all of their books for free download in PDF format. May I recommend Sarah Carter’s The Importance of Being Monogamous: Marriage and Nation-Building in Western Canada to 1915, Jack W. Brink’s Imagining Head-Smashed-In: Aboriginal Buffalo Hunting on the Northern Plains, Ted McCoy’s Hard Time: Reforming the Penitentiary in Nineteenth-Century Canada, and Joan Sangster’s edited anthology Through Feminist Eyes: Essays on Canadian Women’s History? Please post further online archive recommendations below!